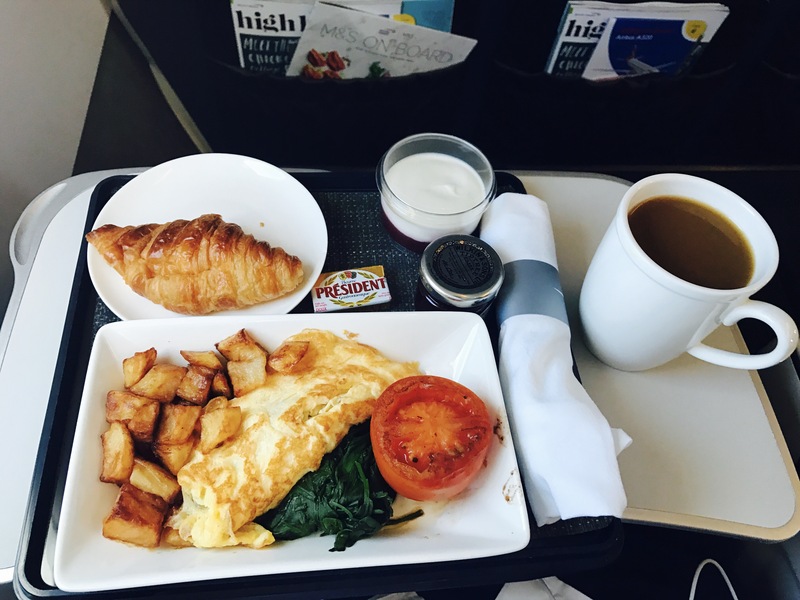 2 options to choose from this morning on a flight to Vienna, vegetarian and english breakfast. The omlette was filled with mushroom. It was fairly delicious. Shame that the fruit plate was enhanced.